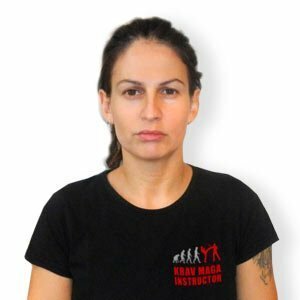 I started Krav Maga in 2003-2004 with the instructors and experts Pierre Marques and Jean-Paul Jauffret, that both encouraged me to improve myself in this discipline. It’s the fun, athletic and practical aspect that made me passionate about Krav Maga. While I was moving to Paris, I also had the chance to get private lessons with the expert and creator of Adaptive Krav Maga Stéphane Chatton, that prepared me for my civilian instructor diploma that I obtained in 2013. Since then, I participate in every seminar and update to keep my level high and get better and better. I also finished successfully the Military Instructor Course in 2017. I continue to improve myself so I can teach my students the best I can.